Faith and Freedom Daily: Jury: PP--"Good", Pro-Life Investigators--"Evil"
It seems people have always struggled with discerning good from evil---Eve would be an example. But the recent local grand jury that has indicted those who uncovered the wrongdoing in Planned Parenthood, while exonerating the abortion champion whose directors and doctors were caught illegally negotiating the price of aborted baby parts, is breathtaking. Their ruling may well be beyond the mere inability to discern right from wrong. While decent people are stunned by the disregard for law, confusion over good and evil and commonsense itself, the press has got to be taking a second look at this action as well. As you have heard, a local grand jury in Harris County, Texas has refused to indict Planned Parenthood for violating a Texas statute that prohibits the attempted sale of human organs, despite the overwhelming evidence that shows Planned Parenthood doctors and directors discussing organ sales. Planned Parenthood has claimed they have a legal right to re-coup their costs for "donating" baby parts for research, etc. Even a casual glance at the conversation on video makes it clear PP is talking about much more than recouping costs. They talk about "getting top dollar" while discussing different prices for different organs and body parts. One Planned Parenthood executive is caught saying she needed to get the right price for aborted organs because she wants "a Lamborghini." PP later explained that was supposed to be a joke. The Heritage Foundation has analyzed both the Texas laws and the way in which the grand jury applied them. "In other words," Heritage says, "a private individual whose only intent is to expose possibly illegal activity is under indictment for actions in connection with an undercover video operation, but the illegal actor itself---Planned Parenthood---is off the hook. This backward situation will undoubtedly chill journalistic activity in Texas and elsewhere." Heritage also points out, "Over the past decades, there have been countless undercover video operations conducted by major news organizations at ABC, NBC, CBS, Fox News, CNN and others, as well as local news stations all over the country." 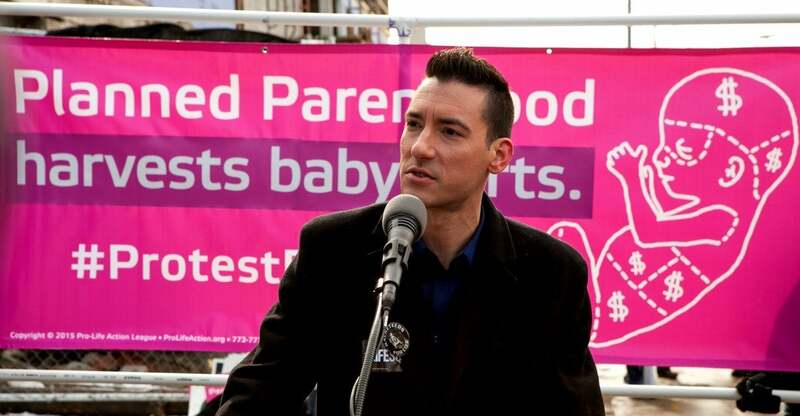 Heritage says, "If the grand jury believes that Daleiden, the head of the investigating organization, should be charged with offering to buy a human organ, based on the videos, it would be almost inconceivable that the same grand jury would not also conclude that Planned Parenthood should be charged with violating the same statute by offering to sell him human organs. The entire context of the video involves a complicated haggling process, but only one of the two parties appears to actually intend to go through with the illegal sale---and that party is Planned Parenthood." Law experts and Texas Attorney General Ken Paxton has already announced that this will not affect the state's ongoing investigation into the "shameful disregard for human life of the abortion industry." There are clearly a lot of questions left to be answered. Perhaps the most poignant question is how Christians and conservatives will deal with this kind of selective enforcement of the law going forward. The prophet Isaiah (5:20) once said: "Woe to those who call evil good, and good evil; who put darkness for light and light for darkness; who put bitter for sweet and sweet for bitter!" Billy Graham often preached a sermon titled, "Confusing Evil with Good." It began with, "Many of our news magazines carry stories of immorality. Theologians and pastors are quoted as condoning sexual immorality under certain circumstances." Then he would quote Isaiah 5:20. He would continue with this: "Someone has said: 'A wrong deed is right if the majority of people declare it not to be wrong.' By this standard we can see our standards shifting from year to year according to the popular vote." Perhaps Billy Graham's message is even more timely today than when he was preaching it in the stadiums. Be Informed. Be Discerning. Be Faithful. Be Fearless. I'm amazed at the boldness of PP, as they seem to be evidently and clearly in the wrong, yet they will push so much right to the very line. Apparently they feel they have all the... support. May God take that all away because of their evil doings. Backwards goes America..It's time to turn around. It's looking more and more like the land of the freaks and the home of the depraved. The further away we get from the Bible and our Constitution, the more it gets that way. What this all costs us financially and concerning jobs, our happiness, it's difficult to estimate, but I know it takes it's toll. I work in a pro-life clinic where we sometimes counsel women who have had abortions and are suffering tremendous guilt and shame. Perhaps they should sue PP for damages--lives ruined by abortion. They were rushed into it without being given alternatives and without being told there can be horrific mental anguish afterwards. And that is why none of the many state and federal investigations of planned parenthood have found any illegal selling of baby parts. Until and unless all the facts come out clearly with PP, they will likely be getting away with murder. Maybe it's our state and fed that's the problem. They haven't shown us a lot of reason to trust them very far lately. Yes, that's it. There's no evidence of any wrongdoing only because state and federal governments are lying. Bloody brilliant. A little reminiscent of Benghazi or Fast and Furious...can we ever rely upon our government to justly investigate its liberal self? Besides, as any God fearing christian would note, the horror has already been committed. A life was taken.